*Features a Cotton Sweetheart Bodice, Soft Tulle and Fully Lined Skirt. *Comes in TEA LENGTH or KNEE LENGTH for prices shown. A big THANK YOU to JANICE for sending in this gorgeous photo!!!!!! Today I received my daughters dress for our upcoming wedding. It’s honestly amazingly gorgeous!!! She tried it ion and it fit perfectly, it’s honestly better then I expected. Made with such care and detail. Seller is so easy to contact and replies quickly to reassure your enquiries are seen too. 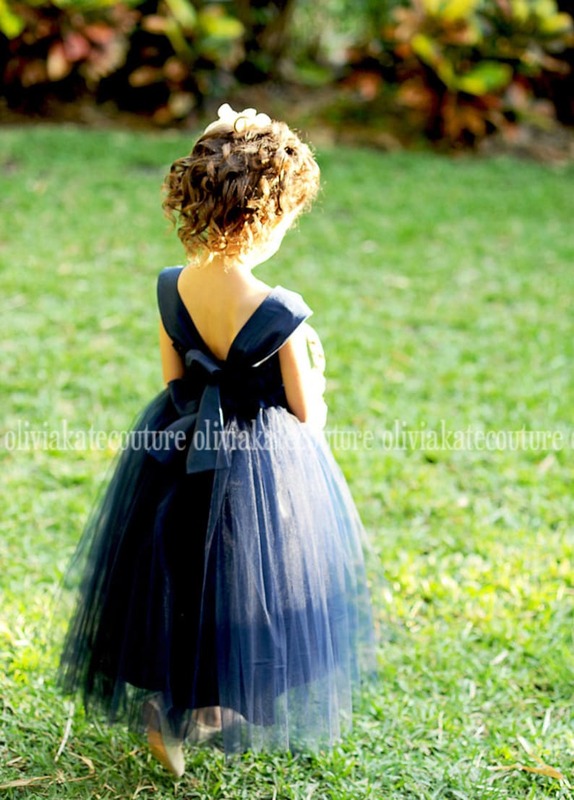 I would recommend oliviakatecouture to anyone who was at least thinking or needing a flower girl dress. So cute!!! And my niece loves it! Can’t wait for our wedding for her to show it off!